Before me the goal was set: - to develop a poster for the company "Print-Day", which would display one of the services - Packaging Design. 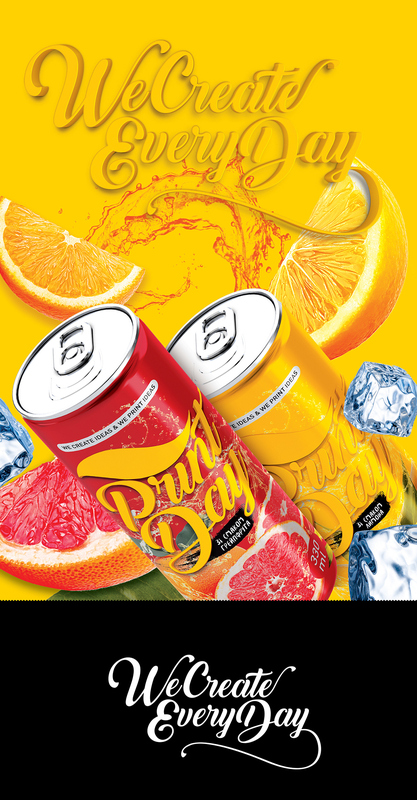 As a result, I developed 4 cans with different tastes of juices and prepared a poster with the slogan "We create every day". The slogan was made in the style of "Lettering" using the font - Back to Black Demo.